2-BEDROOM, FULL-FLOOR, LUXURY CONDOMINIUMS WITH PRIVATE OUTDOOR SPACE. 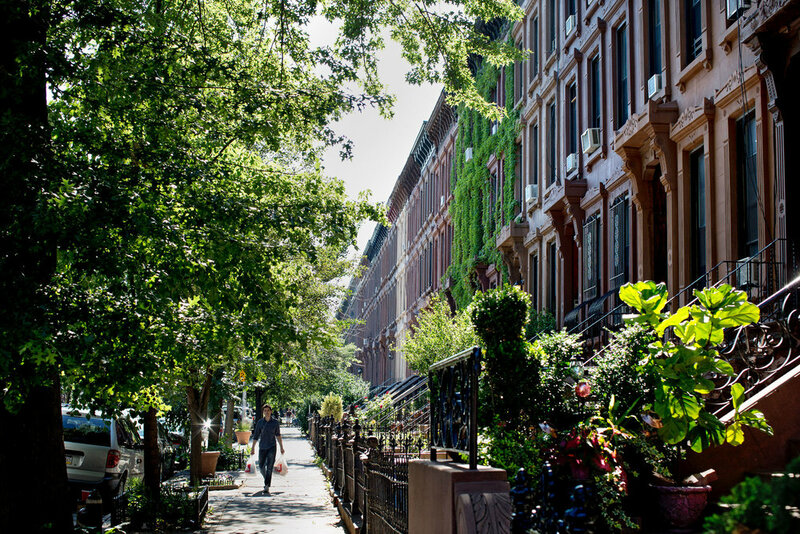 368-370 Gates Avenue is a boutique, 8-unit condominium located in Bedford-Stuyvesant. Situated between the trendy strips of Bedford and Nostrand Avenues, the building is only a few blocks away from the A, C, and G lines and is surrounded by a multitude of restaurants, cafes, and bars. 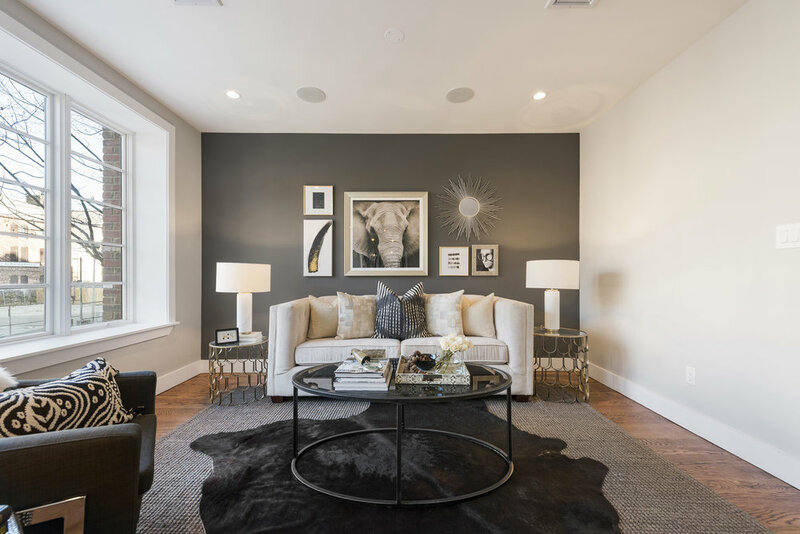 Graced with a luxurious combination of natural light and high-end finishes, the Gates Avenue Condos are true 2-bedroom, 2-bathroom units embedded within Bed-Stuy’s finest boutique condominium building to date. Features of these near 23-ft. wide apartments include over 1,150 sq. ft. of pristine living space, 4-inch select oak hardwood floors, northern and southern exposure, central heat/air, an in-unit washer/dryer, a deeded storage unit, a Nest system, Sonos surround sound, smart wiring, a private balcony, and access to a landscaped rooftop space. Past a closeted entryway, the home expands into a large, open-concept living room, dining room, and kitchen. The living and dining rooms are anchored by a pair of massive triple-pane Pella ProLine windows that quietly overlook Gates Avenue. 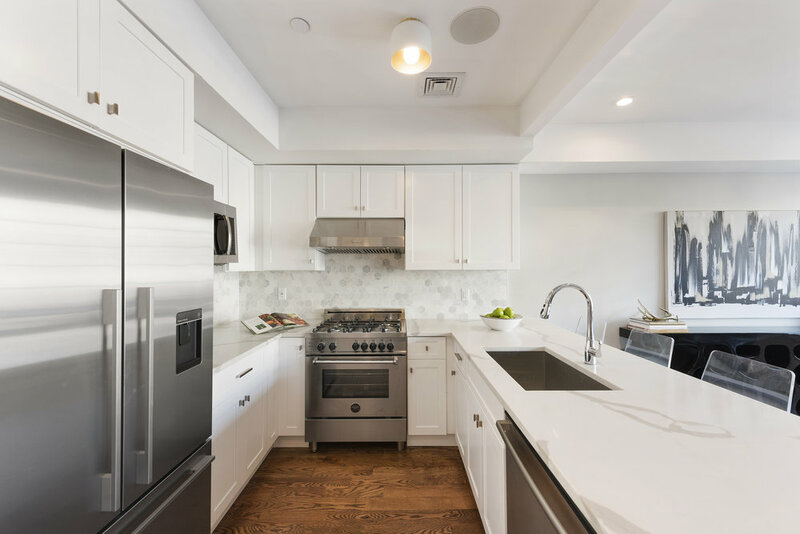 The kitchen is equipped with an eat-in peninsula, white quartz marble countertops, self-closing white shaker cabinetry, and a suite of top-line stainless steel appliances from Bertazoni, Bosch, and Fisher & Paykel. On the opposite side of the home lie a pair of large bedrooms and two immaculate bathrooms. 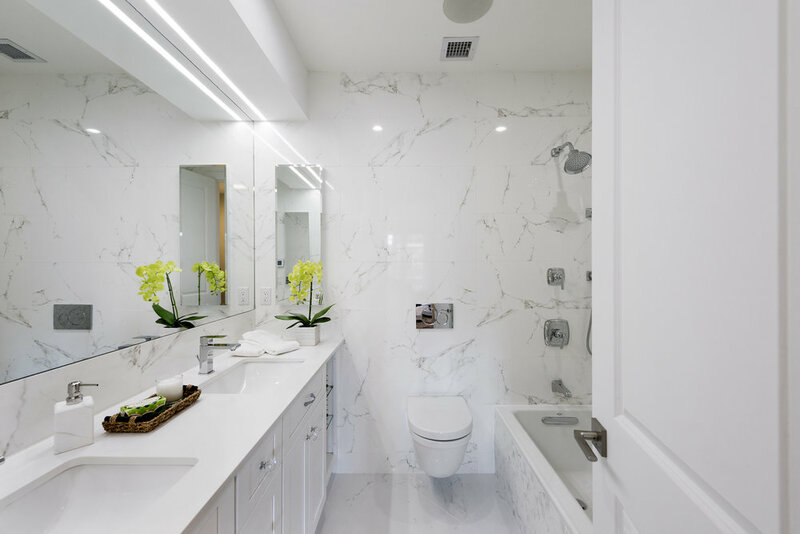 The master bedroom boasts a customized walk-in closet, access to the home’s private south-facing balcony, and an en-suite bathroom that features radiant heated flooring, Carrara Porcelanosa marble tile, custom dual-vanity sinks, Duravit wall-hung toilet and a deep soaking Kohler tub. The second bedroom possesses its own large closet and sits adjacent to a beautiful full bathroom that has a large vanity, subway tiled walls, a marble herringbone floor, and a spacious walk-in shower. 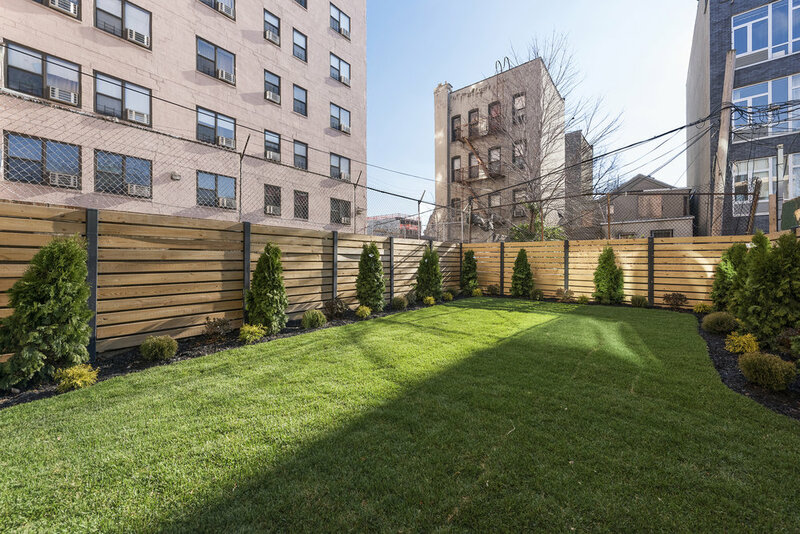 Each unit within the building comes with a large storage unit and has access to a north-facing roof deck that possesses views of Brooklyn and Manhattan. The functional 23’ wide open-concept living space incorporates two oversized Pella windows that offer a flood of natural light throughout the day. Complete with 4” select Oak hardwood floors, Sonos surround system, Nest, and smart wiring throughout the home. 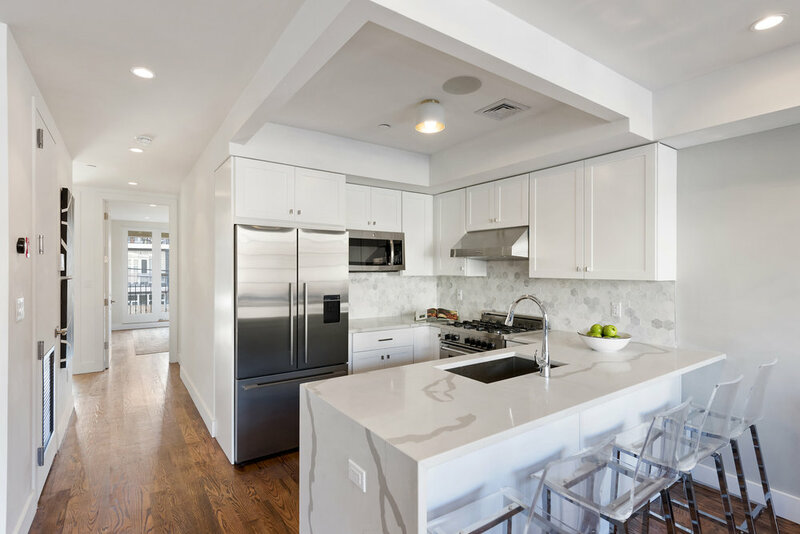 Large and efficient layout with white Quartz marble eat-in peninsula, self-closing white shaker cabinetry, Kohler fixtures, and top-line stainless steel appliances from Bertazoni, Bosch, and Fisher & Paykel. The south facing, king-size master bedroom is equipped with a 10' sliding glass double-door to the private balcony and a customizable his/her closet that leads into the master bath. The 2nd bedroom offers generous room proportions and a large closet. 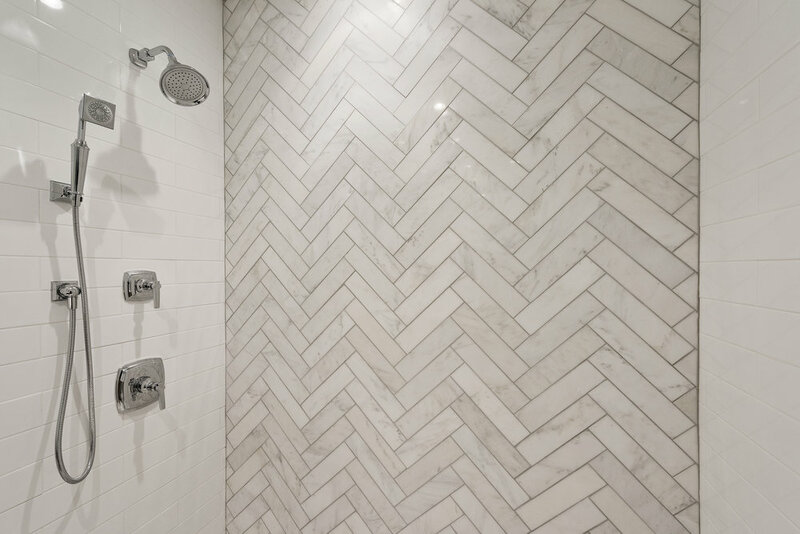 Master bathroom is replete with Carrara Porcelanosa marble floors and wall tiles, radiant floor heating, dual vanities, custom medicine cabinets, a deep soaking tub, complete with high end Kohler fixtures. 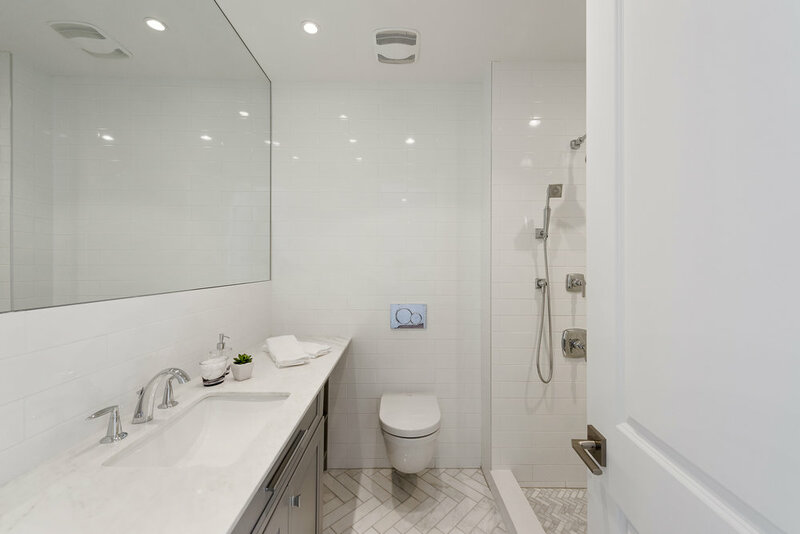 The 2nd bath is complete with marble herringbone floors, white subway wall tiles, custom vanity, wall mounted Duravit toilet, and top of the line Kohler fixtures. Each of the upper units offer a private south facing balcony off the master bedroom with access to the shared north facing roof deck with sprawling Brooklyn and Manhattan views. Unit #1 is complete with over a 1000sqft landscaped private yard. The Penthouse offers over 600 sqft of private roof space with unobstructed city views. and is surrounded by a multitude of restaurants, cafes, and bars. With a flair for the refined, Tower REI redefines luxury, creating signature properties, each diverse and yet all built to the same principle of the highest standards. By paying attention to the requirements and tastes of their clientele, they have created detailed guidelines to ensure that every project meets their exacting standards of luxury and refinement. Always aspiring to excellence, Tower has total commitment to uncompromising quality, nurturing quality in every sphere of operation. When these elements come together they form excellence and create beautifully crafted homes that are a joy to own and live in. Led by Ryan Serhant, The Serhant Team is a bicoastal real estate brokerage and marketing firm of over 40 agents in Manhattan, Los Angeles, Miami, and the Hamptons, specializing in high-end residential condo and co-op sales and leasing, multi- and single-family homes, new development sales, site acquisitions, and investment sales. The Serhant Team has garnered an excellent reputation and was ranked the #1 team by sales volume by The Wall Street Journal’s Real Trends in 2015.